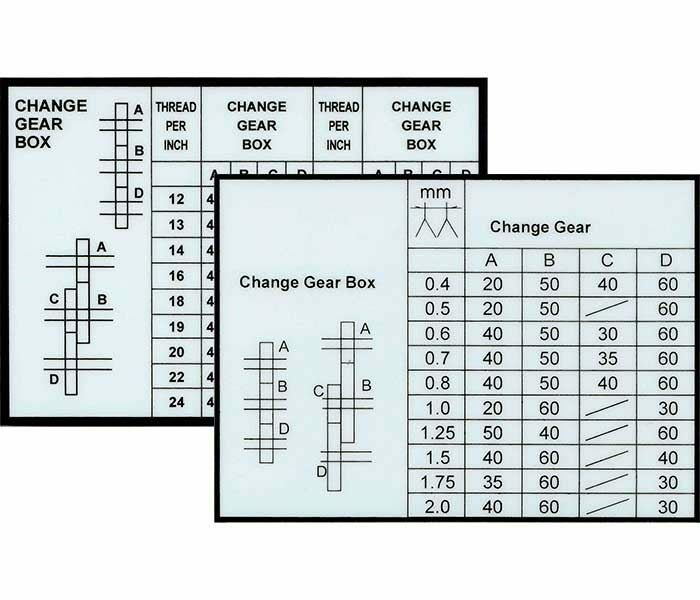 The Mini-Lathe Thread Cutting Charts indicate which change wheels are required to cut a particular thread pitch. Use the Imperial chart for Imperial machines with a 16TPI leadscrew. Use the Metric chart for metric machines with a 1.5mm pitch leadscrew.